John M. Toth has more than 35 years of experience in the defense of medical, podiatric and dental malpractice claims. During his professional career, John has successfully tried over 100 cases to a jury verdict. John’s practice focuses on defending matters in litigation involving the professional liability of physicians, podiatrists, dentists and hospitals. He also handles ski area/premise liability matters and he is a member of the Association of Ski Defense Attorneys. 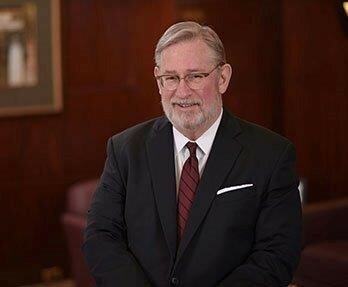 John has been consecutively appointed since 1995 by Michigan State Bar Presidents to serve as a Member of the Standing Committee on Character and Fitness, and he has been a Vice-Chair of the Committee since 2003. He has received the highest attorney rating from Martindale-Hubbell since 1996 and, beginning in 2009, he has been designated as a “Super Lawyer” by Thomson Reuters, an honor reserved for the top 5% of attorneys in each state. From 2008 to the present, John has been selected by his peers for inclusion in Dbusiness Magazine as a “Top Lawyer,” along with being recognized in the New York Times “Top Attorneys in Michigan.” From 2011 to the present, he has also been named in Best Lawyers in America® (Woodward/White, Inc.), in the field of Medical Malpractice Law-Defendants. 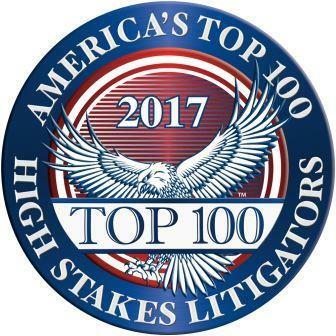 In 2016, John was elected to the American Board of Trial Attorneys with an advocate designation and, in 2017, he was named to America's Top 100 Stakes Litigators for Michigan.